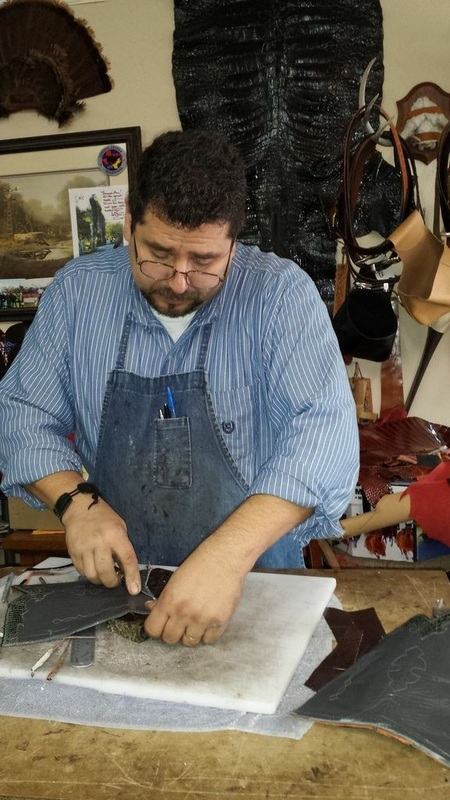 Mr. Rivera brings in a wealth of knowledge to his craft, as boot making has been his passion for over 30 years. A connoisseur in fine cowhides and exotic skins, Alvaro has an expert's eye for coveted pieces such as, ostrich, alligator, buffalo, crocodile, elephant, lizard, python, shark and other exotics. Master Bootmaker Alvaro Rivera has the knowledge and traditions of five generations inherited from his father, Guillermo Rivera, and has refined his craft with the mentoring of two of the greatest boot craftsmen in Texas, Jose Gonzales and Antonio Moreno. If you´re in the market for handmade custom boots and belts you are in the right place! Al's Custom Boots prides itself on a commitment to premium quality goods and solid customer satisfaction.